Q. And do you feel that your report, Defendant’s Exhibit A, accurately states what you viewed there that evening? Q. Did you leave anything out of significance? A. Not that I can recall, no. Q. As part of your training, you have been instructed to put anything of significance in your report? A. That I can recall, yes. Q. While your report might not include every last detail of the incident, you would not ommit any significant detail you would likely be called upon to testify about? Q. That is because you could be called upon to testify weeks or months later about an event? Q. You have made literally hundred of reports over the course of your career? Q. You know that someone such as myself will likely question you about the events covered in your report? Q. You are a professional? Q. As a result you want to make sure your report is complete? Q. You want to make sure your report is accurate? Q. in this particular instance, if there were injuries to the defendant you would note those in your report? Q. When a situation like that arises, you would try to fully and accurately outline any force used by officers while you were there? Q. Prosecutors rely upon your report for purposes of making decisions on whether to charge someone with a crime? Q. Your report often forms the factual basis for criminal charges being filed? Q. Courts rely upon your investigation in deciding the fate of a person accused of wrongdoing? Q. If the officers there at the scene did anything inappropriate, would you note that in your report? Q. If it rose to the level that you thought it potentially could be a criminal matter, would you refer that either to the prosecutor or internal affairs? A. Criminal matter as far as what? Q. Any conduct by the police officers? Q. If force was required which could have resulted in injury to a defendant, you would note that in your report? Q. Do you know, were there any photographs taken there of either the defendant or any of the officers? A. I did not, no. Q. Did you see anyone take any? A. I didn’t see anyone else take any. Q. And in terms of notes, did you make any particular notes or anything that we haven’t discussed? At this point, the officer has generally conceded the importance and significance of his report being complete and accurate. If he refuses to make such concessions, you can hammer on how little he cares about being a professional and cares little for being accurate in matters involving the liberty of a citizen. Maybe you have evidence which establishes significant injuries to the Defendant such as a booking photo. You may well be better off, leaving the testimony alone… You could ask one question to many and signal to the officer where his weakness lies. Perhaps he would claim that the Defendant fell or come up with some other explanantion. Sometimes the best points made are those reserved for closing argument when all the witnesses have already testified and their story cannot be altered. Remember that: “Greed is a bottomless pit which exhausts the person in an endless effort to satisfy the need without ever reaching satisfaction.” Erich Fromm. Don’t be that guy or you could end up getting slaughtered at trial next time you ask one question too many. For the Record: Offers to Prove… Do They Make a Difference? You appear for your final pretrial conference and after a short discussion or perhaps with no hearing, the Court grants your opponent’s motion in limine and excludes evidence or testimony essential to your client’s case. Now what do you do? Well, your starting point for an answer to this dilemma is Rule 103 of the Federal Rules of Evidence. Rule 103(a) deals with rulings on evidence and how to preserve a claim of error. A party may claim error in a ruling to exclude evidence only if “the error affects a substantial right of the party” and “a party informs the court of [the evidence’s] substance by an offer of proof, unless the substance was apparent from the context.” Because a ruling on a motion in limine is not considered a final ruling from which you can take an appeal, you need to make an offer of proof during the trial outside the presence of the jury to get a definitive ruling. Under Rule 103 (c), the court may direct that an offer of proof be made in question-and-answer form or allow a party to summarize what the evidence would be if the witness and exhibits were admitted. Although it is not required, it is useful to reduce your offer to prove to writing. Your offer to prove should address why the evidence is admissible and cite legal authority for your position. If necessary you should attach exhibits and a summary of the expected testimony of the witness. 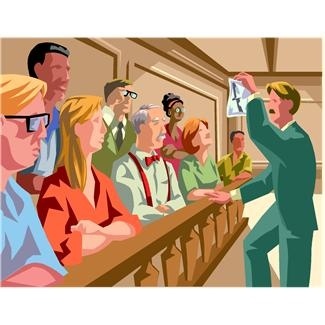 If allowed by the Court, you should take advantage of the opportunity to present “live” testimony outside the presence of the jury in support of your position. While the Court can control the timing and manner in which you make your offer to prove, it cannot block your right to make an offer to prove. By making your offer to prove in writing, you are sure to include all essential information, arguments and supporting authority. You also signal to the Court that you are serious about your position. The offer to prove allows the Court one last chance to revisit the issue and reconsider its decision. On more than one occasion, I have had a Court reverse its decision when presented with the offer to prove. So next time you lose an evidentiary battle, don’t be afraid to make your offer to prove… The court’s ruling might just surprise you. There is nothing more powerful in terms of capturing someone’s attention and imbedding your message in their brain than a good one-liner or as I like to call them, a “zinger”. A “zinger” is described as “a surprising or unusually pointed or telling remark.” In today’s modern fast paced world, speechwriters and politicians often work on developing that one biting quip or sound bite which will disarm an opponent and grab an audience’s favor. Such comments, often seem unscripted even though they were planned out well in advance. Attorneys can use “zingers” as a rhetorical device during cross-examination or in closing argument to drive a point home. “Zingers” are especially effective in rebutting your opponent’s argument. Your source material is everywhere. I urge you to look to quote books, comedians and popular culture for such material. 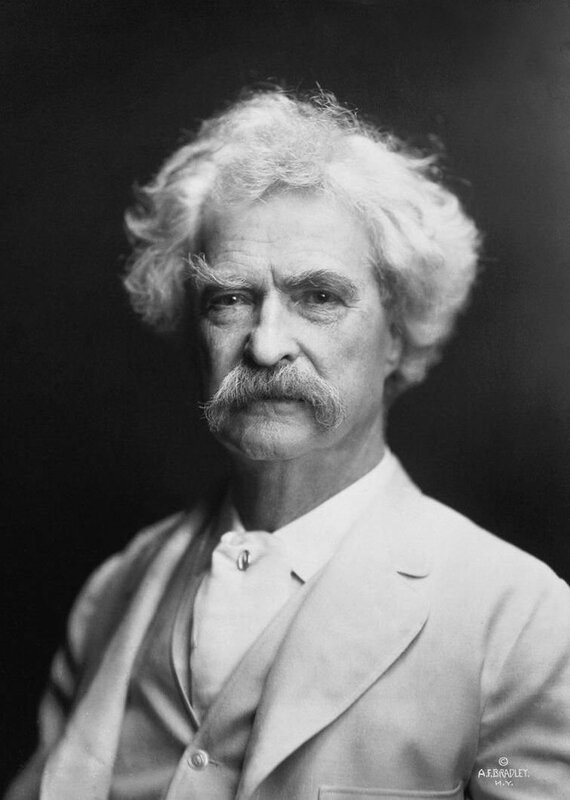 Another way of putting it according to Twain was “Figures don’t lie, but liars figure.” Such a statement can quickly and effectively eviscerate an opponent and swings the audience or jury in one’s favor. So cultivate your inner one-liners, you won’t be disappointed and you may just “zing” your opponent next time you are in court. Want the jury to remember the key points of your closing argument? Having trouble making a point of law clear? The answer is to find a good analogy or anecdote to make your point. Some of the best teachers I had were those who used analogies to drive a point home. Jesus parables such as the “Good Samaritan” and the point it made has endured for centuries. Aesop’s Fable still have relevance and drive home the moral of the story centuries later. There are lots of similar stories out there. I Remember Atticus: Inspiring Stories Every Trial Lawyer Should Know by Jim Perdue is such a book. There are other books out there as well as websites which provide a treasure trove of ideas and inspiration. Watch the trials of other attorneys or find books with transcripts of famous closing arguments; they will likely contain powerful analogies or anecdotes. You can even draw upon your own experience or that of others. As you come across such stories, copy them down for future reference. They will improve your ability to communicate with the jury and help jurors favorable to your cause remember your arguments for use during deliberations. 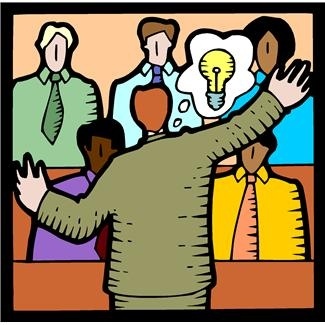 Jury selection in ten minutes or less… Can it be done effectively? “How many of you have been on a civil as opposed to a criminal trial (answer – none, all criminal). What was the burden of proof (answer — beyond a reasonable doubt). Does anyone know what the burden is in a civil case (answer — preponderance). Does anyone know what that means (no answer) – – More likely than not. See page 34, http://karenkoehler.com/pdf/VoirDire.pdf. In response to this line of questioning more than half the jurors indicated that they could not be fair and impartial resulting in a mistrial. Creative approaches are needed to deal with the problem of limited time to question jurors about potential biases. Today’s trial attorney must work faster and smarter than ever before. Unfortunately, judges are far too impatient and fail to recognize the value of jury voir dire. So be ready to use your time efficiently and wisely next time you “pick” a jury as time is of the essence.